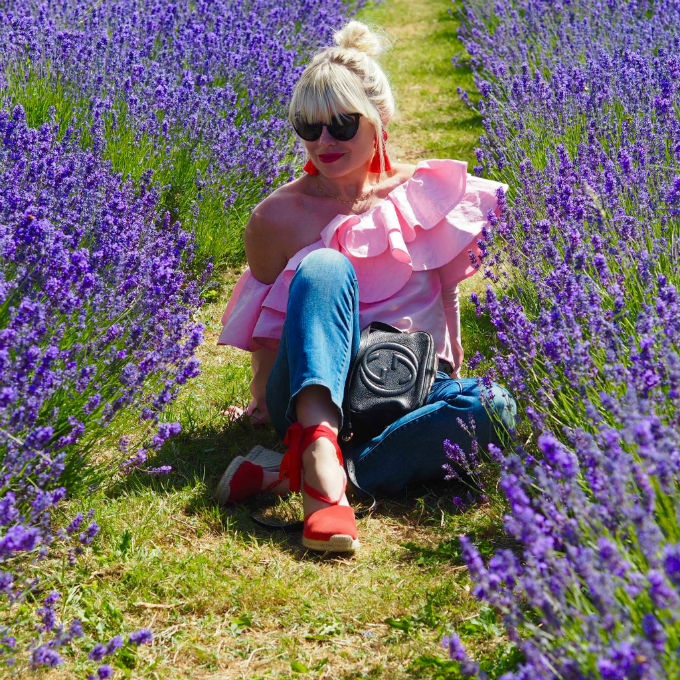 Style Theory: There is a simple fashion formula to a great summer outfit..a pair of jeans, a pair summer shoes and a really great top to add some drama. 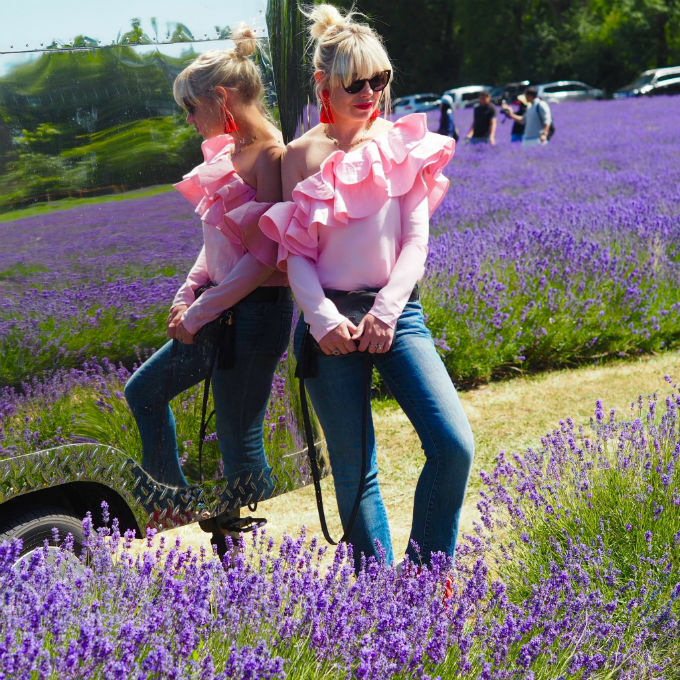 Chicwish have got the drama tops and dresses down to a T, they are an American based brand that I have been stalking for a while on Pinterest and Instagram as they have some real showstopping clothes. 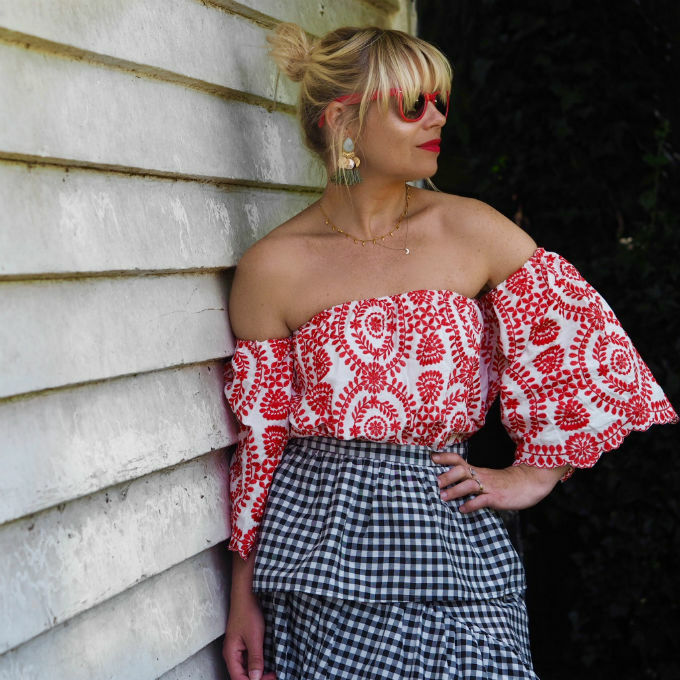 Think oversize frills, tulle and lace with some gorgeous designer-esque off the shoulder tops, a little different from the UK high street but just as affordable. 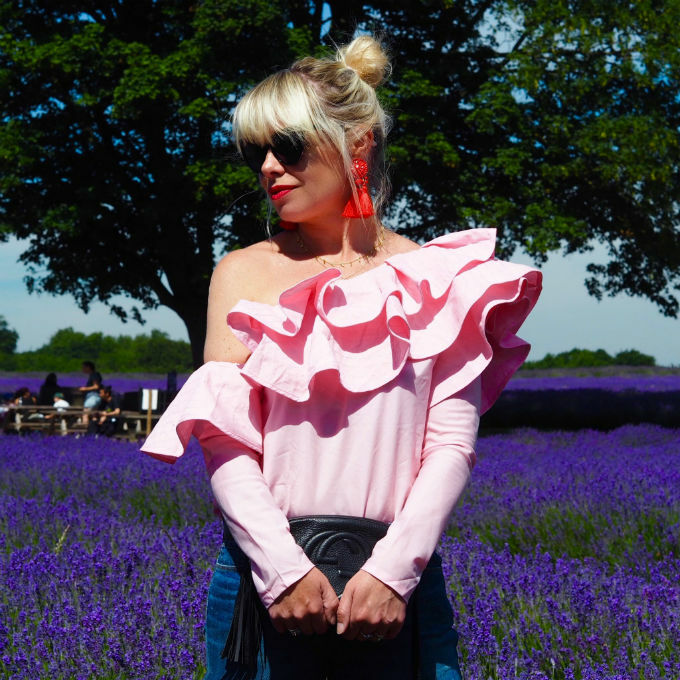 This Chicwish 'Swanky Ruffle Top' is a perfect going 'out, out' top, just add some jeans and heels and throw a biker jacket over your shoulders and you are good to go. I clashed the top with some red earrings and my red espadrilles, pink and red to me are such a good summer combination. I ordered the medium and it is a good fit for a size 10, I would say the sizes in general come up a little on the small side (particularly with the skirts). This season I love the fact that you can mix and match prints and fabrics, clash it all up and make the outfit look more interesting. Also adding a latino twist with layered frills and espadrilles..comfortable and flattering and they give me much needed height. I ordered the small/medium in this top and it comes up true to size, I think would be perfect for 10-12 - it took me a while to work out which ones are the armholes but when I finally got it right it is fab on!! Here are a few more items I have my eye on from Chicwish.. This is on my list to order, again this is so designer looking but so affordable. I would style with denim shorts and flat sandals for a cool evening holiday look. Or for the UK style with boyfriend jeans and heels..the perfect going out look. 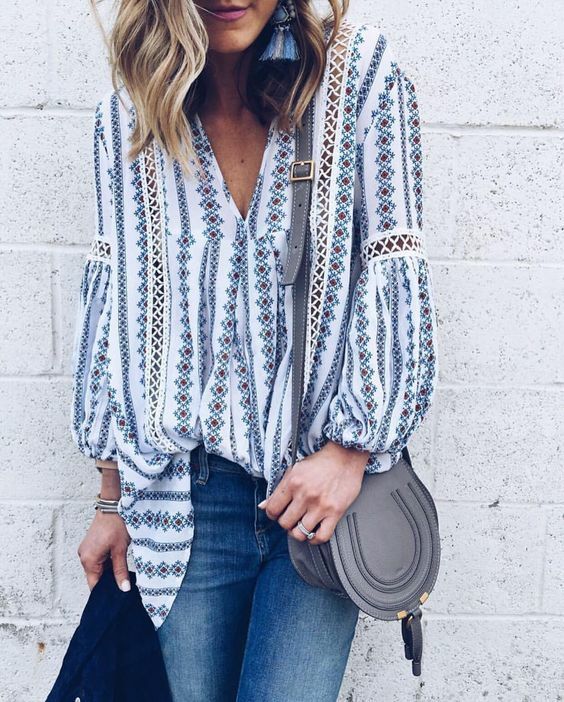 The perfect top for throwing over a swimsuit on the way to the beach or tuck the front into denim shorts or skinny jeans and add a pair of flip flops..similar to the photo below which is also Chicwish..
One of my favourite summer looks on Pinterest, love all of this so much, the Chicwish tops looks great. Such a cute little boho, cotton top..great with denim..
Chicwish is great place to look for exciting new additions to your summer wardrobe..they estimate for the clothes to arrive you to within 12-18 working days and the good news is that they pay for all customs and import duties so you do not need to worry about extra costs. If the online company offers you a good deal for your replica watches uk money and they have been in the business for a while, with a continuous product flow and few official complaints, then you are in for the bargain of your life. In a store that sells replica watches sale, you will be able to buy a special timepiece that is also a piece of stylish rolex replica and a classy accessory, all under a famous brand name. If you are the type of person that wants to replica watches sale look rich for less, or wants to have all the cool new toys, do I have a surprise for you! There are many stores on and offline that carry fake rolex sale. These watches are almost exact copies to the breitling replica uk that would cost a fortune to buy. Swiss, Italian, Japanese, German, all these types of watches cost a lot of money, but you can get them for a pretty modest price. Blog designed by Kate Jordan Design.